This 11-year old C. japonica chance seedling first bloomed in 2000. 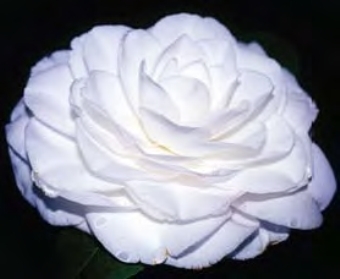 The 5"x 2" porcelain white formal double flower has a heavy petal texture and is long lasting. It is suited for exhibition and landscape. Plant is upright and open with average growth rate. Dark green leaves are 3.5" x 2.5".